Discussion in 'BBS Hangout: Debate & Discussion' started by Sweet Lou 4 2, Apr 12, 2019. The FBI was watching Carter Page long before the Steele Dossier. This conspiracy might start rivaling the levels of idiocy of "Hilary was never prosecuted because of the deep state"
quikkag and FranchiseBlade like this. Dark Rhino, MiddleMan and cml750 like this. Not as long as 45 is in office and trying to run the country like he owns it. Majority of the people agree he is a jackass and unpresidential but the extent the left and the deep state has gone to undermine him is unprecedented. If he is truly as corrupt as they say then why are they trying so hard? He is undermining himself no one has gone out of there way to undermine him as for this investigation Barr will not be releasing the juicy parts he is a 45 puppet. quikkag, MiddleMan and FranchiseBlade like this. Only the threat of indictment will get Bill Barr to the truth—and reform the bureau. If the Federal Bureau of Investigation is to recover its lost reputation, the first item on Attorney General William Barr’s agenda must be to make good on something that set off a frenzy when he proposed it last week: an honest accounting of the FBI’s spying on the presidential campaign of Donald Trump. To do it, Mr. Barr would be well advised to use a grand jury, the same tool used by special counsel Robert Mueller in his investigation. Right now the American people don’t even know when the FBI investigation into the Trump campaign really started. Officially it began July 31, 2016, set off by a tip from Australia’s ambassador to the United Kingdom, Alexander Downer, that Trump campaign adviser George Papadopoulos had told him Russia had damaging information on Hillary Clinton. But the accumulating evidence—confidential informants were reportedly reaching out to Trump campaign officials well before July 31—casts doubt on the party line. Mr. Mueller showed how to get answers. A grand jury, with the powers to subpoena and indict, would wonderfully concentrate many Beltway minds now not inclined to cooperate. This is no great secret. When former Trump campaign manager Paul Manafort appeared in federal court to answer charges of tax and bank fraud, Judge T.S. Ellis III noted that bringing those charges was how the special counsel chose to “tighten the screws” on Mr. Manafort to get him to testify against Mr. Trump or his associates. Mr. Manafort turned out to have no evidence of Russian collusion to spill—but it didn’t stop Mr. Mueller from using the grand jury to compel answers. Today the best candidate for a grand jury appearance may be former FBI general counsel James Baker. In closed testimony before the House Judiciary Committee released last week by Georgia Republican Rep. Doug Collins, Mr. Baker acknowledged his role in channeling Trump-Russia dirt commissioned by Clinton operatives to the FBI. Under questioning, Mr. Baker agreed that the way the FBI handed the Russia investigation was “abnormal.” He further revealed he is under criminal investigation for leaks. On the advice of lawyers, he refused to answer questions about his contacts with reporters or whether Mr. Papadopoulos had been spied on via a Foreign Intelligence Surveillance Act warrant. A Mr. Baker made more talkative by a grand jury would likely move us much closer to learning what the FBI’s top officials were doing in 2016 and when exactly they started doing it. 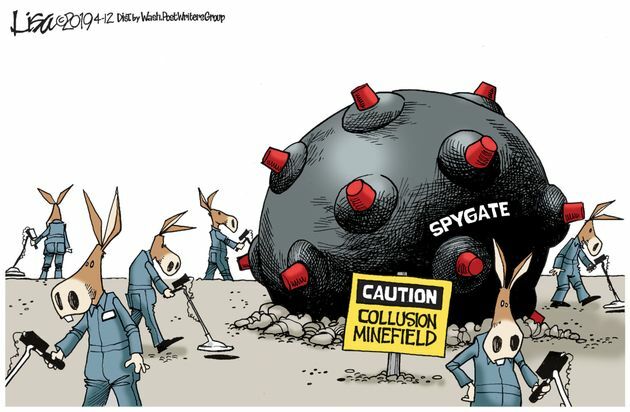 Mr. Baker might also speak to the investigation into Mrs. Clinton’s emails, if only because the same FBI officials at the heart of the Russia investigation were handling the Clinton probe. The Justice Department’s inspector general stated in his report that he found no evidence the outrageous political bias of individual FBI officials had affected investigative decisions. Bias, however, is not limited to any particular decision that might, on its own, be within permitted discretion. The strongest evidence for bias is the vastly different treatment the Justice Department and FBI accorded Mr. Trump and Mrs. Clinton. She benefited from immunity agreements, a decision not to search the Democratic National Committee server, and an exoneration FBI director James Comey was drafting weeks before his agents even interviewed her. In contrast, the FBI never came to Mr. Trump with concerns the Russians had infiltrated his campaign. Instead, Team Trump was subjected to surveillance warrants, national-security letters, ambush interviews and prosecutions for lying to the FBI. Former FBI Deputy Director Andrew McCabe has testified that without the Steele dossier there would have been no surveillance warrant for Carter Page. In this context, the continued insistence that the Papadopoulos tip was the basis for the investigation looks to be a distraction. Increasingly, it appears the FBI launched a counterintelligence investigation into the Trump campaign based on unverified opposition research from a known Trump-hater commissioned by the Clinton campaign. 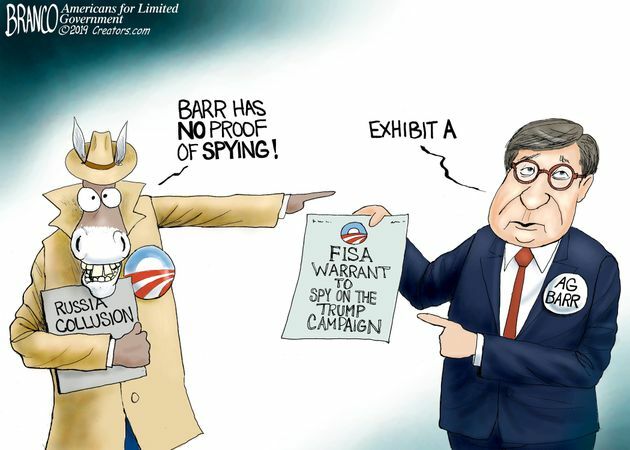 If Mr. Baker is indicted on a charge of leaking, Mr. Barr could grant him immunity in exchange for telling what he knows. Given his unique role as FBI counsel and Clinton dirt conduit, this may be the fastest way to cut through the fog. A grand jury would serve another compelling purpose. It would be a sign to FBI officials that abusing their vast powers will bring severe consequences. The good news is that the bad actions were largely confined to a few. Still, if FBI leaders whom we depend on to uphold the law betray their oaths, this is a far graver threat to our system than any political wrongdoing. This is an assault on the system itself—from within. It isn’t enough to purge them, as Director Christopher Wray has mostly already done. Nor would any bureaucratic restructuring be enough to prevent future FBI officials from engaging in a repeat of 2016. 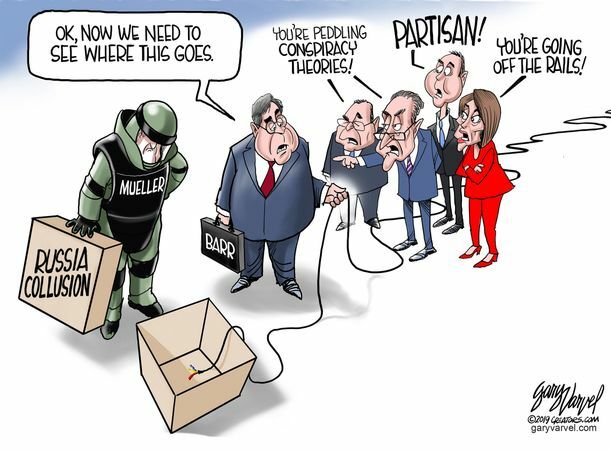 If Mr. Barr wishes to send a message to the FBI, there’s no more potent vehicle than a grand jury. Prosecutors routinely use grand jury subpoenas and indictments to get to the truth—and hold wrongdoers to account. The FBI should be no exception to the law its members are sworn to enforce. Appeared in the April 16, 2019, print edition. cml750, MojoMan and mick fry like this. [Premium Post] Let's put all the filth and dishonesty out there for the public to see. With the Trump presidency the filth and dishonesty is already front and center. this was not the first time that William Barr, while working for the DoJ, had misled Congress via a misleading summary memo. the Public About the Contents of a Legal Memo. The conspiracy theories are running hot and heavy in this thread. LOL. I'm sorry... what in the above story about barr was untrue? "Limited number of Members of congress". Limited by what/how/who? Why not just say congressional leadership of both parties? Why do they keep doing things that make you less confident that things are on the up and up? Bob Barr and Ron Paul teaming up?